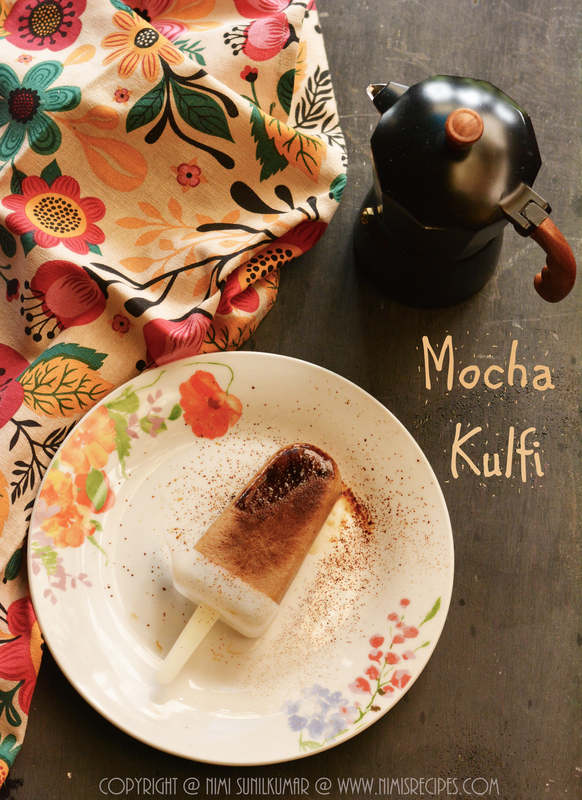 Mocha Kulfi for Coffee lovers !! 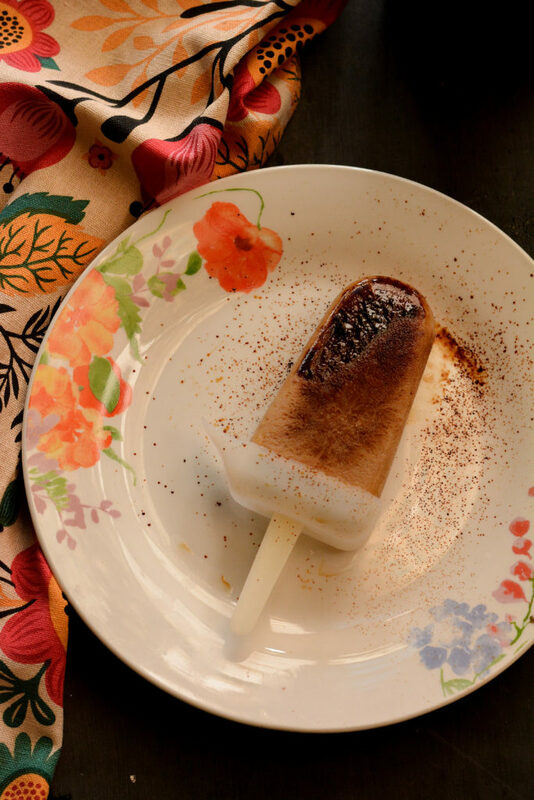 Kulfi is a super popular frozen Indian dessert. Its the Indian ice cream but is much denser and creamier than the regular ice creams. The word “kulfi” was derived from the Persian word for covered cup. Since kulfis are loved by kids, I had posted a Dates and Almonds Kulfi recipe earlier. Coffee lovers are quite familiar with the cafe’ mocha. Being a true coffee lover, I just love trying out coffee flavored recipes. This was a recipe that I came across in a food magazine a few years ago and having a husband who is crazy on coffee …its quite fun to pop up with different flavors. 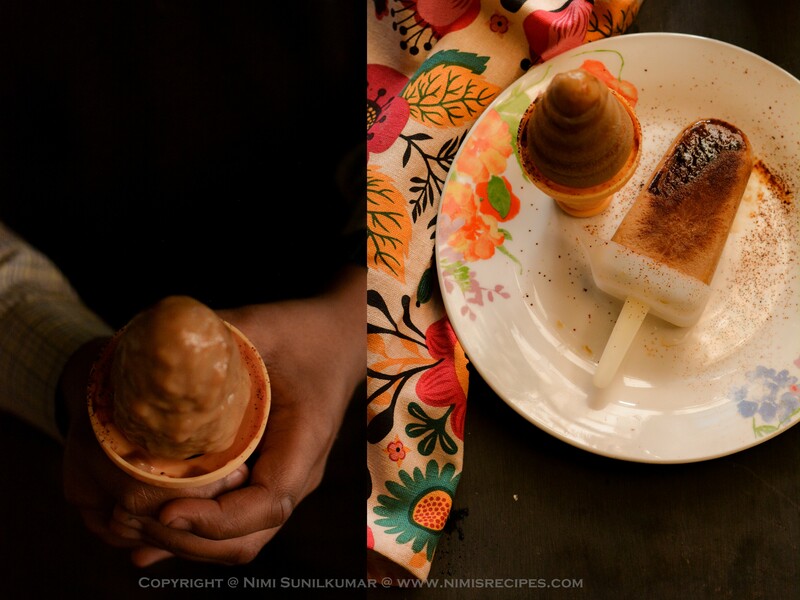 So today’s recipe is Mocha Kulfi! Here’s the video link to this frozen delight. Stay tuned and subscribe to my youtube channel for more recipes. Boil milk with sugar and stir in the coffee powder .Mix in the condensed milk.Add 3-4 tbsps of water to the cornflour to make a smooth paste .Pour it into the boiling coffee mix and continue stirring .Make sure to stick to stirring the mix as it can easily get quite lumpy .Once the mix starts thickening up , turn off the flame and pour it into kulfi molds or into a deep tray.Freeze the kulfis for about 4-5 hours .When you are trying to demold the kulfis , it best to slightly show it under hot water so that you can easily pull out the kulfi. In a tray you can slice them into cubes and dust with coffee powder before serving . 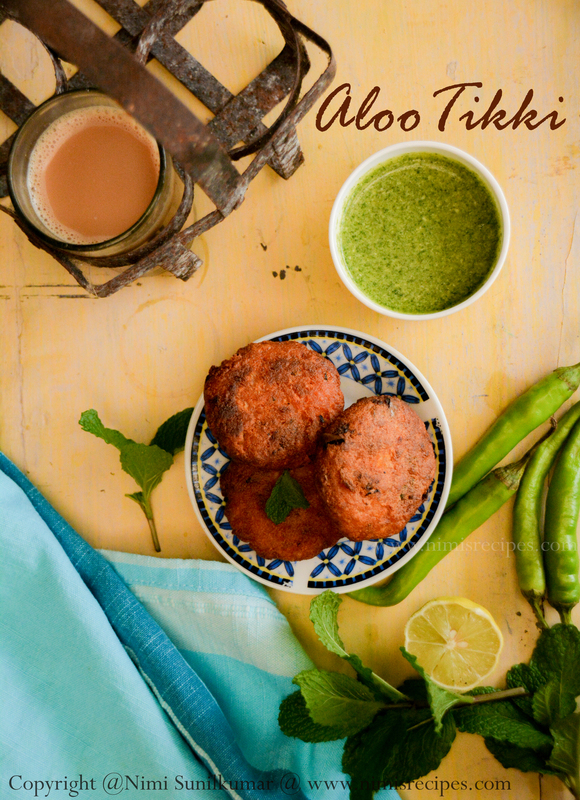 Monsoons and Aloo tikkis ! Growing your own vegetables for your daily needs makes food so much tastier. Organic farming is so much into these days. Making use the soil to grow your own vegetables and fruits make cooking much more divine. Born and raised in Abu Dhabi, living a city life, I haven’t actually had a great exposure to farming or growing food during my childhood days. The vacation visits to Kerala to my parent’s ancestral homes always excited me so much. I really awed the moment s when the whole family gets together spending time chatting, cooking, eating …It was a real fun to do things that you were not used to doing. Going fishing in ponds, picking fresh veggies, helping my mother and grandmother in cooking. There’s a flush of memories that flow in when I look back. After marriage, now a mother to two boys and living in Kerala … I also want to instill in my kids the value of growing their own food. I have a small backyard to the house where I live and every season it’s a different set of veggies that are grown.A few months back I had asked one of our staffs to buy a batch of potatoes for home and the person wasn’t very good at picking up the right potatoes and I ended up having slightly sprouted ones. In two days’ time I had to travel to my in-laws home for family reasons and by the time I was back in my kitchen, it was pretty much all sprouted up. They were all cut up and shoved into the soil. Last week as my husband and kids were plucking some fresh tomatoes from our backyard, I noticed the potato plant and pulled out one to find the potatoes were all ready to be taken out of the soil. We got about 2-3 kilos of potatoes which pretty much a good amount to use up for our home cooking. 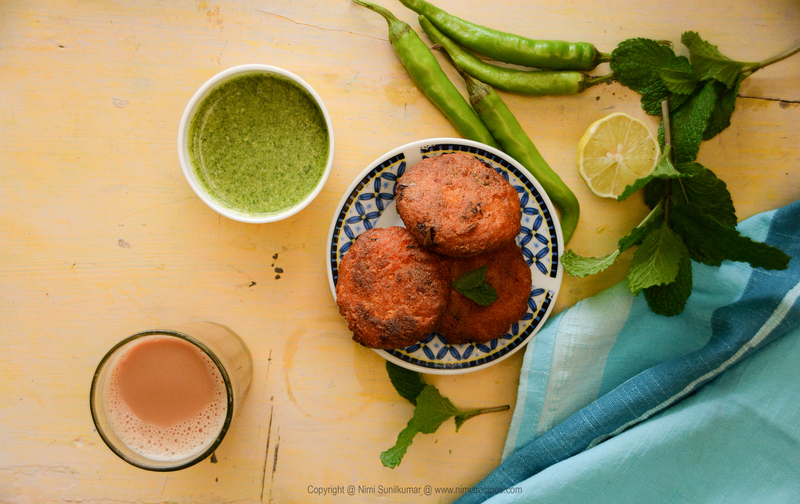 And yesterday I used some of those to make some really crispy “Aloo tikkis” for my children as a snack for tea time. 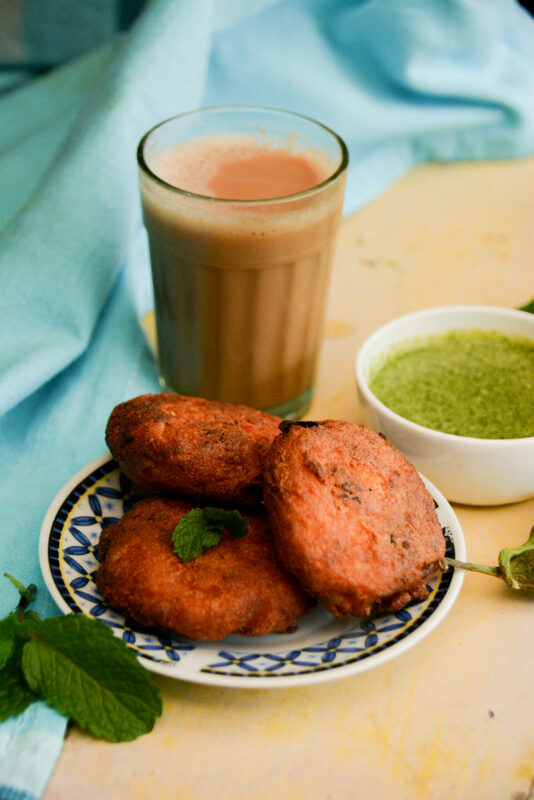 The rains have started off pretty quick this year round….So it’s pretty much very satisfying to have some hot snacks with chai. 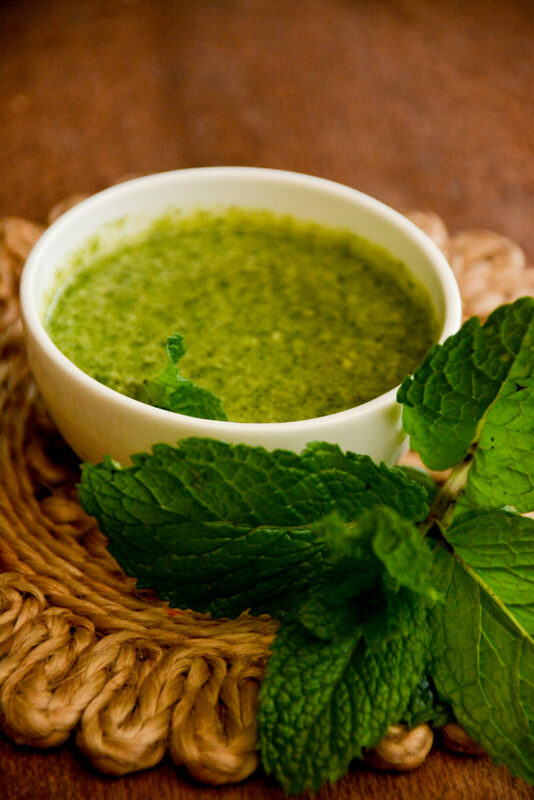 Grind mint leaves , coriander leaves , garlic , ginger and lime juice into smooth paste in a blender.Mix in the yoghurt and salt .Serve it with the aloo tikkis ! 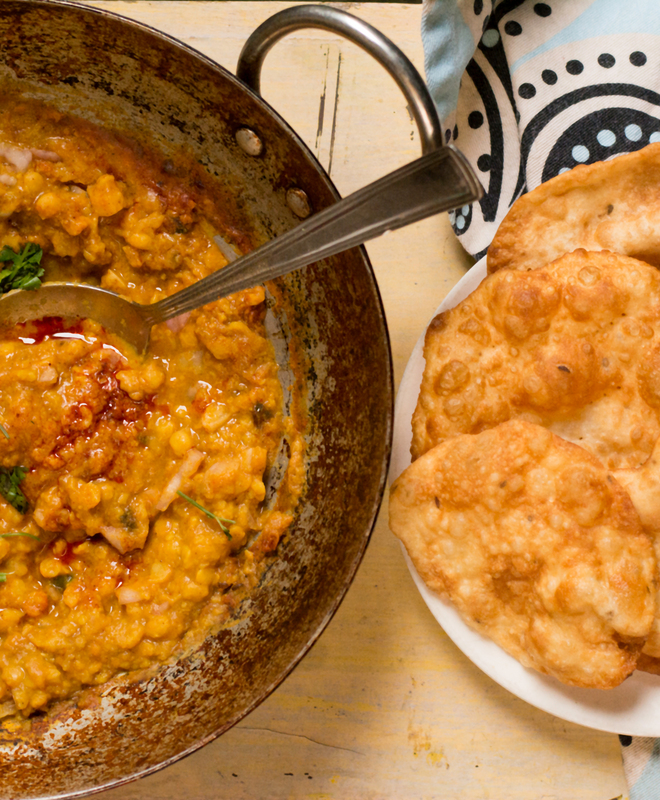 Crispy crunchy Pakwan with Dal ! It’s strange how you meet up with new people every day in your life .There are moments when you feel that you are at the verge of existence but its inspiring how a total stranger can create a new character in your life …Its a similar kind of experience that I had travelling for the research of my new books.Its pretty much amazing to see that there are people in the villages who love what they do in their life despite facing day to day crisis. Wash and pressure cook the lentils with turmeric powder, water and salt to taste for about 5-6 whistles.Once cooked slightly mash the lentils with a wooden spoon . 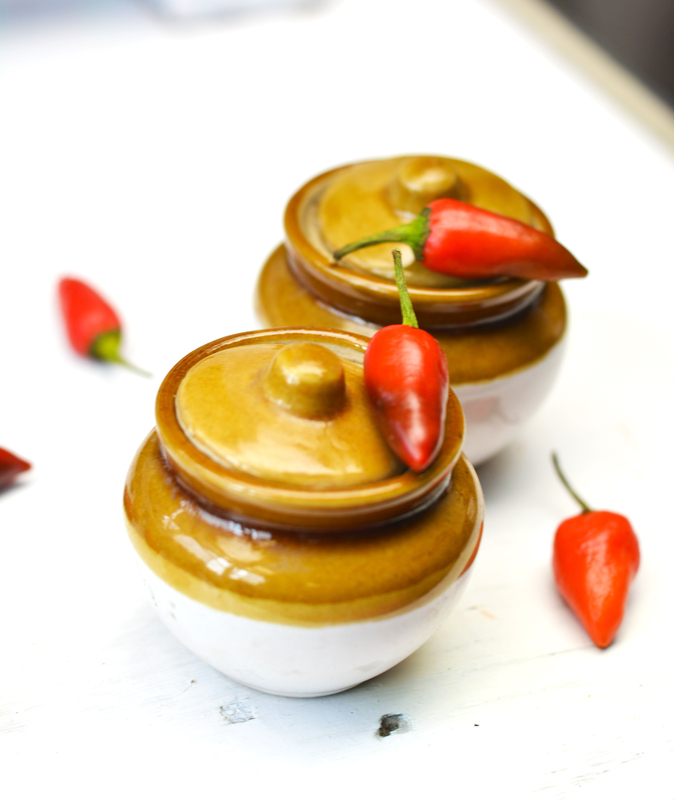 Heat oil in a wok , fry cumin seeds and green chillies .Add in chilli powder and dry mango powder .Make sure that you stir and keep it on low flame so that you are not burning the powders. 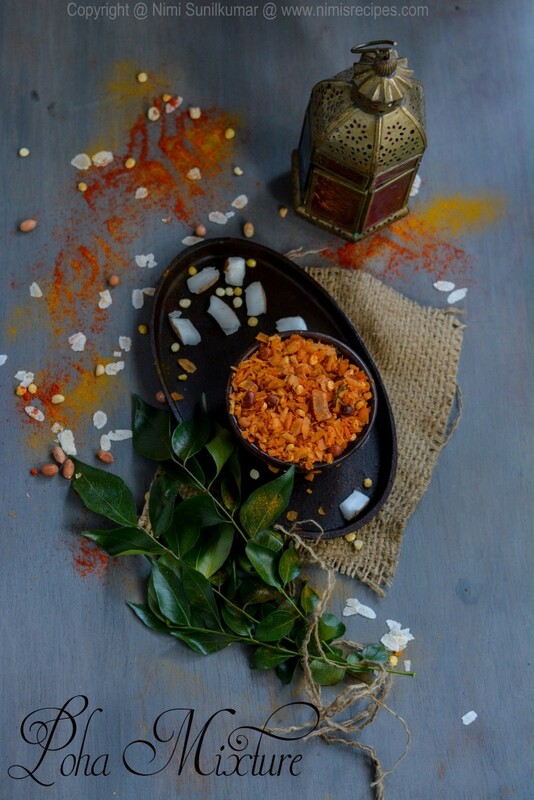 Stir in the cooked lentils and turn off the flame .Garnish with chopped onions and coriander leaves. 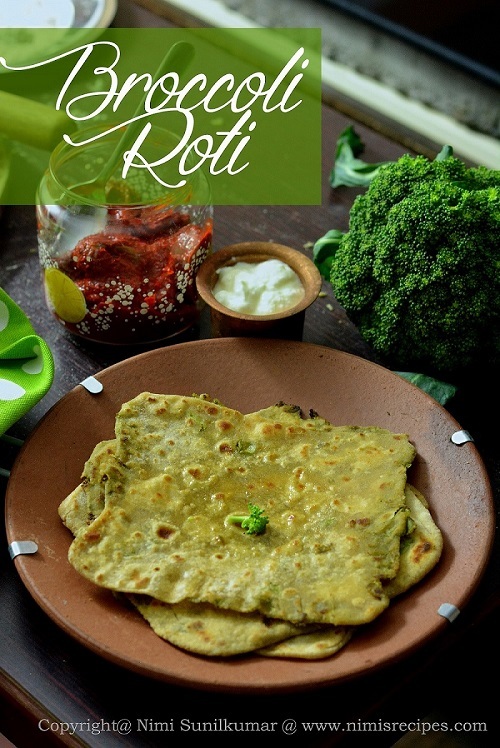 For the pakwans, mix salt , flour , cumin seedsin a bowl .Pour in water slowly and knead it into a dough .You can also add a teaspoon of oil to the dough to smoothen out the dough .Let the dough sit for about 10-15 minutes.Divide the dough into balls and roll each ball into discs.Prick with a fork on the rolled out dough . Heat oil in a wok and deep fry the pakwans till they are golden and crisp. 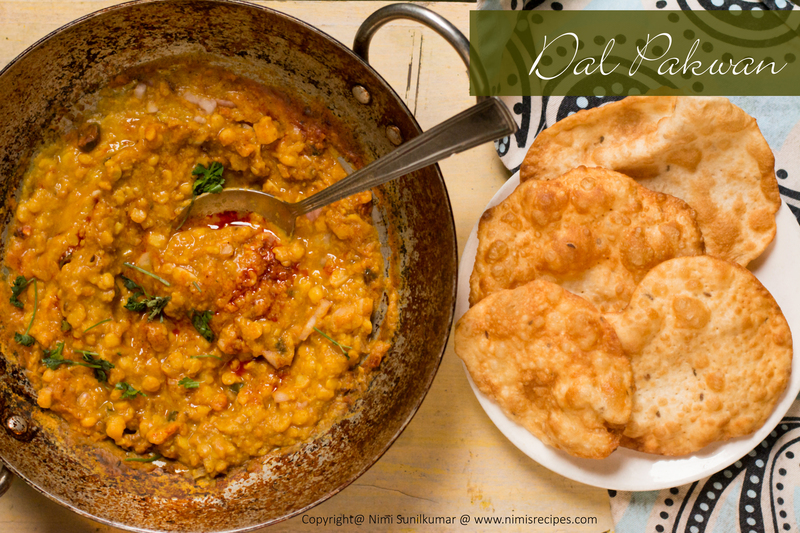 Serve warm with dal . The best part of staying in Munnar is to get hold of the local fresh veggies . 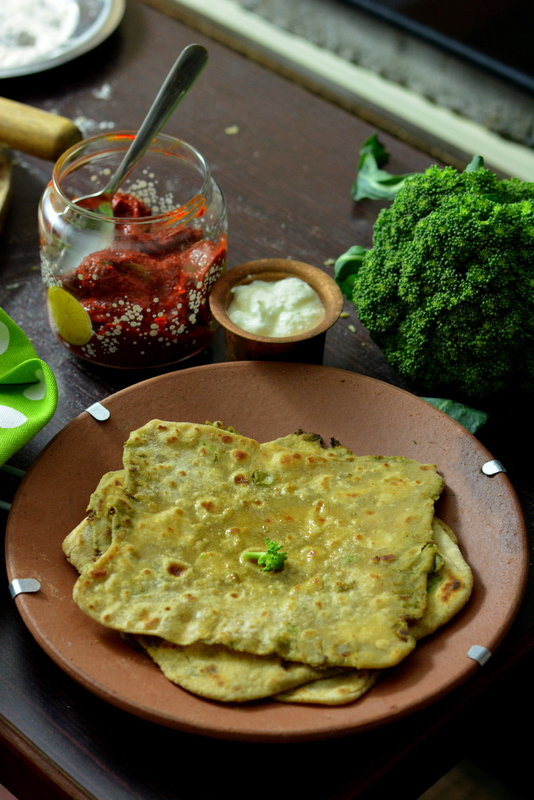 Broccoli is one such veggie that I love to cook with .Soups and salads were my first preferences when I started to cook with them .But it wasnt a big hit with my kids as they rarely fancied them on their plates . 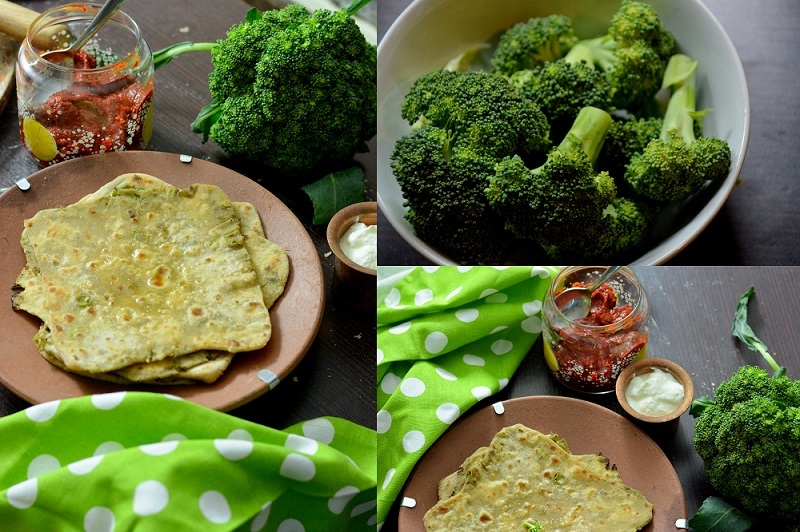 Being a mother my first priority has always been to find out ways to include them in the daily diet .The fun part of cooking is to keep innovating recipes .That’s one way that I came up with the Broccoli Rotis which is now a fave with my young one .”Amma , you know these green rotis are much better if you add extra ghee to them …well thats how I want them !” my younger one chuckles and adds on, “But u dont have to add more ghee to my brothers rotis….” with a naughty smile. Hmm ….that was short ignite to the reason for a new fight that started off in a matter of minutes..
Mince the broccoli in a blender or food processor . Heat oil in a pan , saute onions and add in green chillies . Once the onions are translucent add the minced broccoli .Stir add water and salt .Cover & cook till the the water has totally evaporated .Keep aside . In a bowl mix wheat flour , salt and ghee .Pour in the required amount of water and knead the mix into a dough .Leave it to rest for about 10 minutes . Now pinch and roll balls out of the dough , flatten them , dust them with wheat flour .Dusting with flour stops it from sticking a lot to the rolling pin . Roll them thin .spoon some of the broccoli mix and fold from all the four sides into a square.Dust again with wheat flour and roll them out thin . 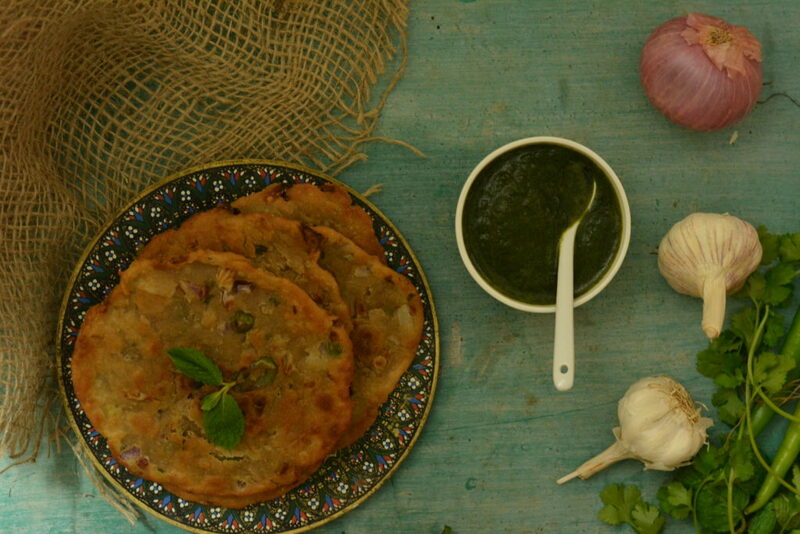 Pan fry the rotis on both sides on a flat pan with ghee. 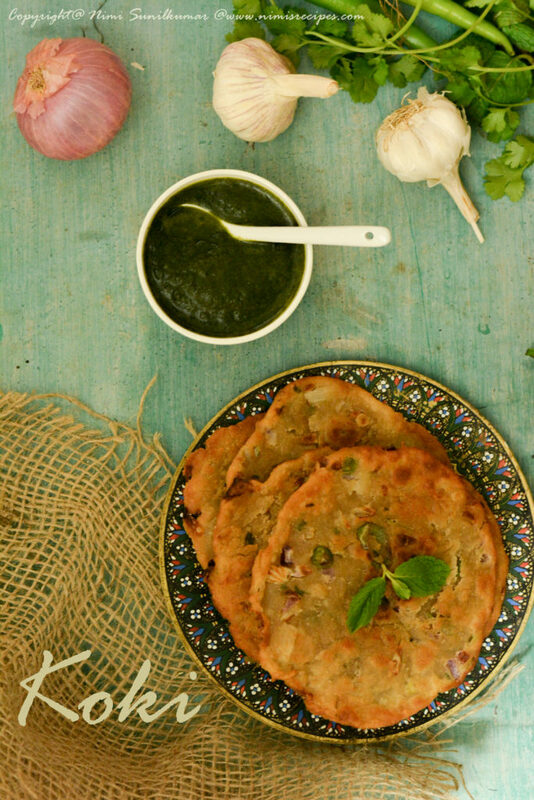 Serve rotis with pickles, raita or curries. Indeed the thrill and joy of achievement is just unexplainable. 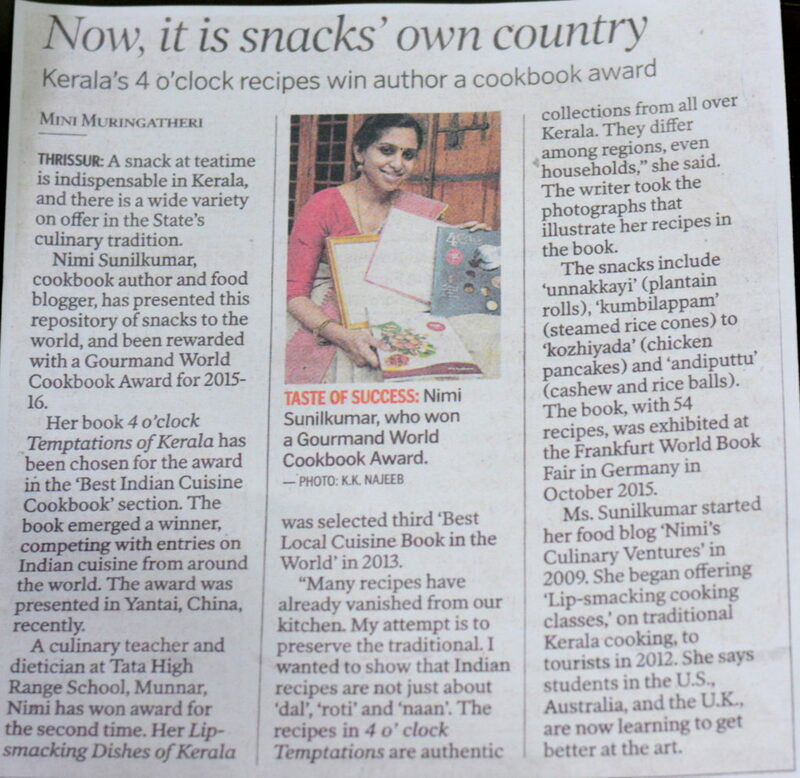 Last year in the month of July when I was at my parents place for the monsoon break from school , I least expected the outcome of my long awaited cookbook “4 o’ clock temptations of Kerala” .I have had the craziest as well as the most unexpected circumstances when I look back .I lost the data of my book thrice and then send it for print .Things were totally haywire with my harddisk broken , my laptops display dead and so on ….it was just never ending and I had time constraints as I was to exhibit my books at the Frankfurt World Book fair …When the book print was all sorted just two days before my flight I am informed that my visa got rejected ..It was totally devastating 🙁 ..to top all these my son was down with pneumonia .I tried my level best ..but unfortunately I couldnt make it to Frankfurt .The books were exhibited there as my brother was there for the event ..but it took me months to recover from the mishaps . Whatever is happening, is happening for good. 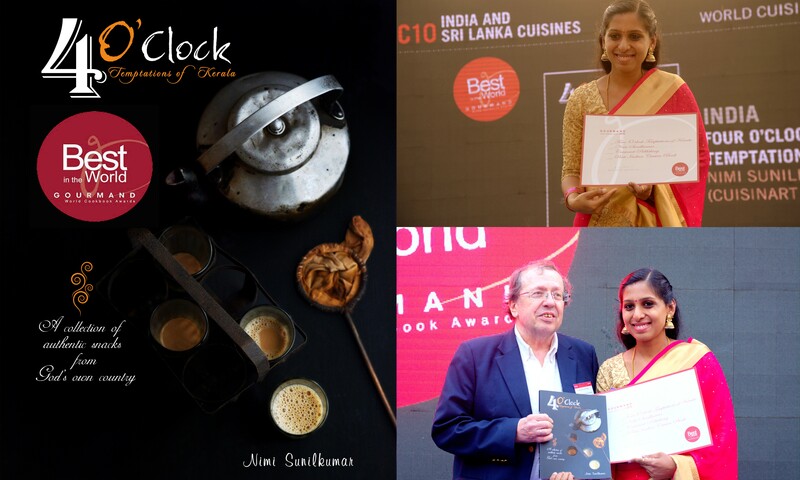 Its taken me a very long time to share with all of you the news of my book , but as its told better late than never ..so I am very happy , excited, thrilled, ..you can take up all the synonyms that can go with it ….to share with you all tht my cookbook , “4 o’ clock temptations of Kerala ” which is on the snacks of Kerala cuisine has won “Best Indian cookbook in the world ” for the Gourmand world cookbook awards 2015-16 from 209 countries representing India .I seriously had no words to say on stage… when I was called up I was in all tears …. 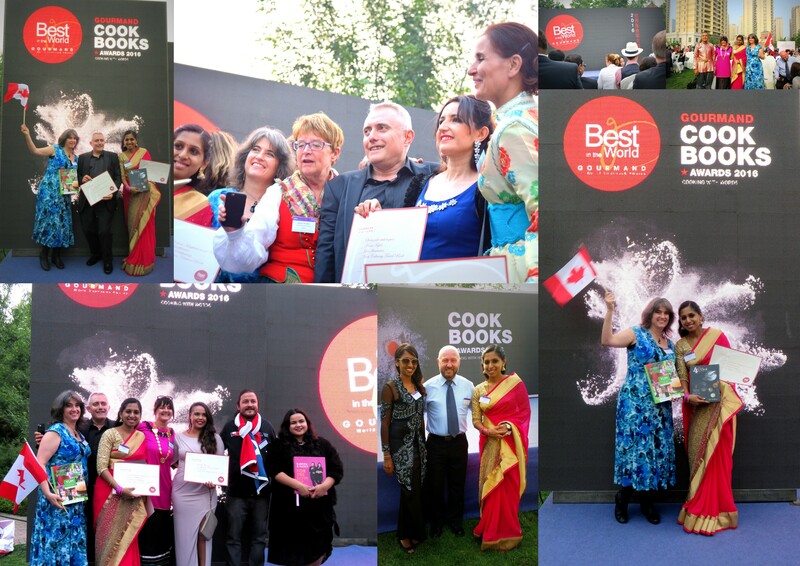 Its great to win the Gourmand awards the second time and experience the whole event .Earlier it was for my cookbook “Lip smacking Dishes of Kerala” which won the 3rd Best Local Cuisine book in the world for 2013-14 at the Gourmand World cookbook awards from 187 countries representing India , held at Beijing , China . Heat a pan , add oil and fry the tomatoes till they shrink in size and seperate.In the remaining oil , pop mustard seeds, add fenugreek , ginger, green chillies and stir fry them for a minute or two on med flame .Lower the flame and stir in the turmeric and kashmiri chilli powder .Once the oil starts seperating add in the vinegar .I added a little extra vinegar so that i can cook the the sauce a bit more .You can also add water but that at times accelarates mould growth in the pickle . 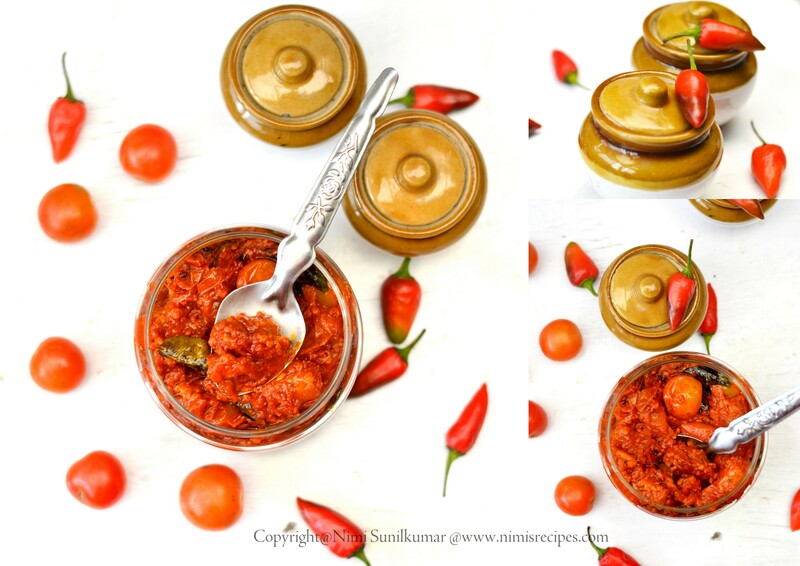 Now mix in the fried tomatoes , add sugar , asafoetida , salt and curry leaves .Turn off the flame and let it cool before you bottle them . 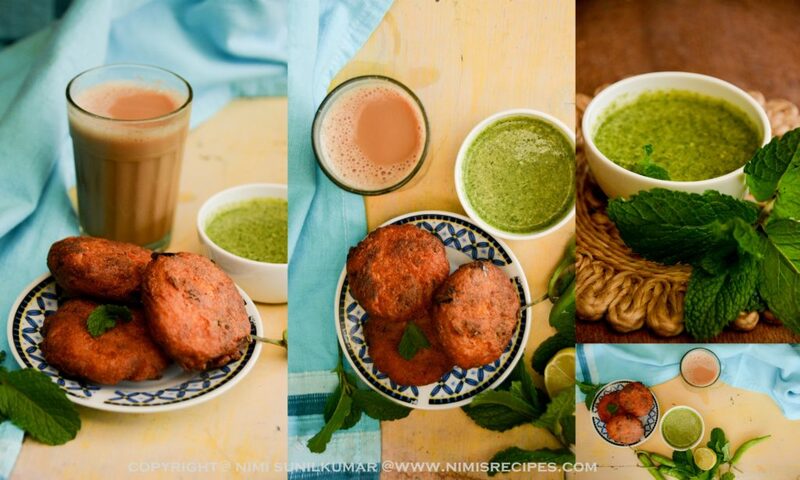 Watch how Nimi Sunilkumar's Cooking School used Facebook to spread awareness of her cooking classes and grow her business. Greg Grano and Sarah Sellman two wonderful filmmakers from SanFrancisco did a portfolio on me for the website Hooplaha-Only good news ..it was just magic as the video is very close to my heart ..
Its crazy when I look back and see how my passion for food has created magic …the magic of following my heart!!! 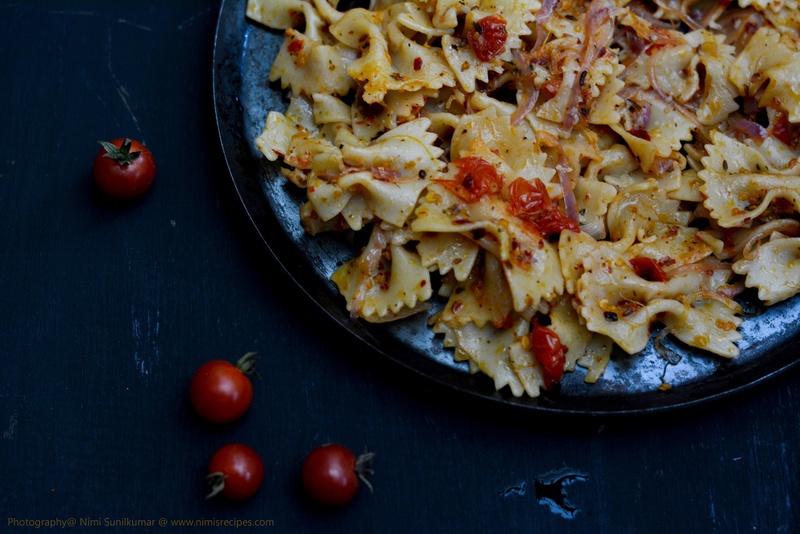 Dash of red ..a dash of cherry tomatoes!!! 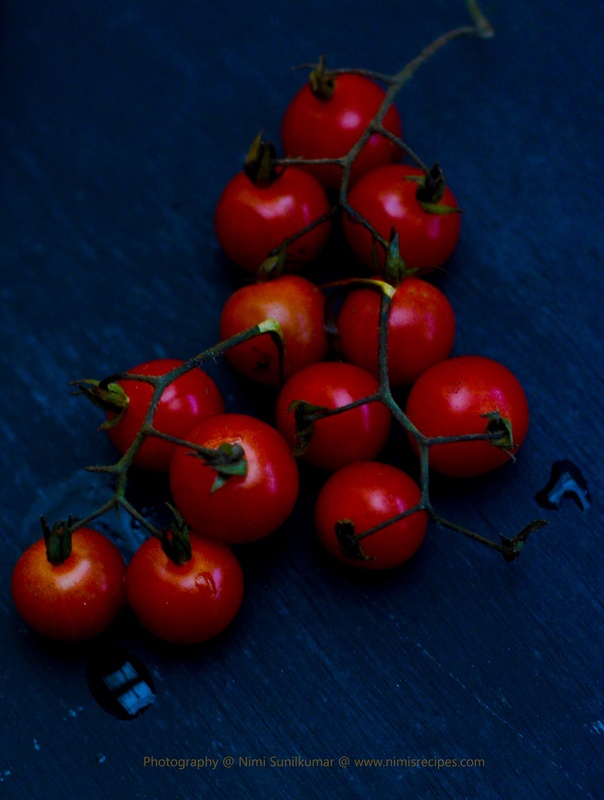 The cherry tomatoes are very small varieties of tomatoes. These beauties are so pretty in sight and they are thought to have originated in Peru and Northern Chile. 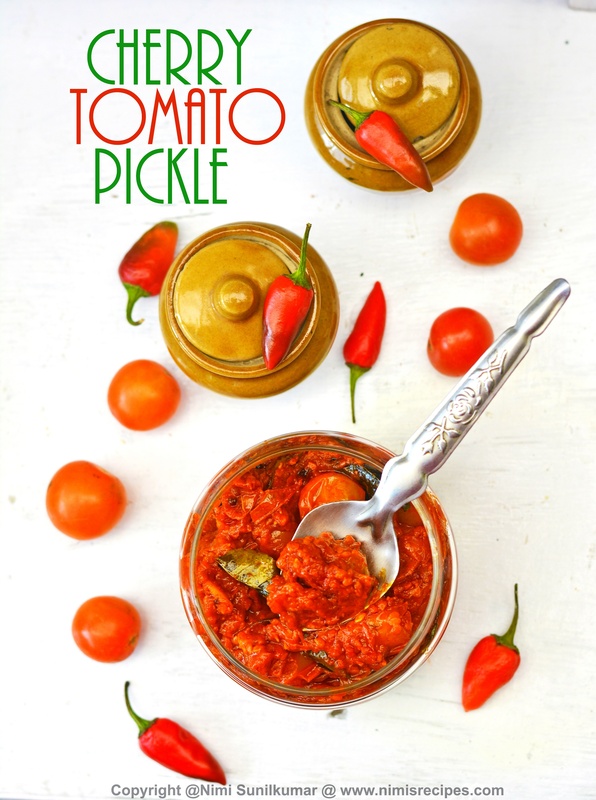 These variety of tomatoes are used more in salads , with pasta, the dried versions in breads..
 Cook the pasta in boiling water with salt to taste and strain in a colander.  Heat oil in a pan saute the chopped onions with garlic till transparent.  Add in the cherry tomatoes and cook for 5-10 minutes.  Add in the chilli flakes and mix in the pasta.  Add basil, thyme and crushed pepper and mix.  Mix in the grated cheese and season with olive oil and turn off the flame. Melt in the mouth ..Mixture ! In two days the holidays come to the winding stage and its back to normal .The temperature has been really hot in Thrissur ..I think its been almost the same in most parts of Kerala.Being accustomed to the Munnar climate , changing over to the tropical climate it was a bit difficult.But its nice to have a little rain although the heat doesnt come down very much . 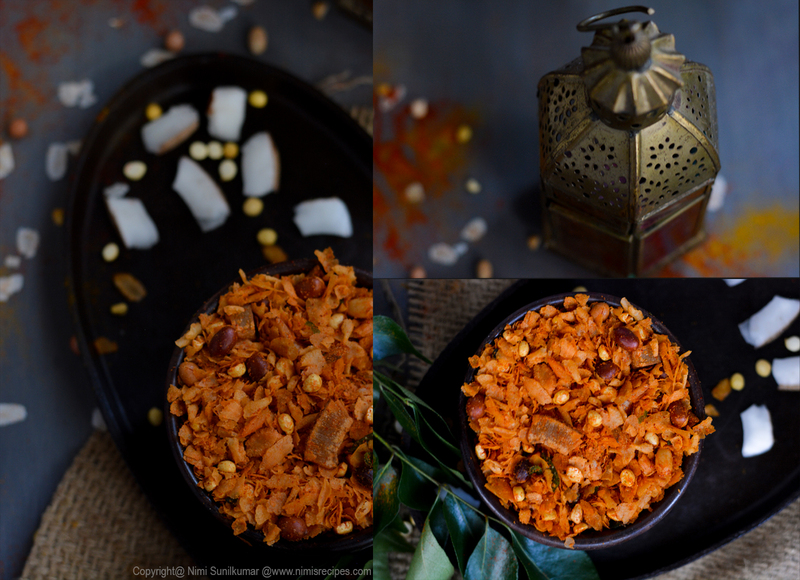 Todays post is an Andhra style mixture with poha or beaten rice.A mixture that looks complicated but which is super simple to try and can be kept bottled for some time.I love this snack as its a wonderful melt in the mouth snacker with a very distinct taste.  Fry the poha till it is crispy in a dry pan and separate. colander so that the oil oozes out.  Mix the fried ingredients and poha together, add in salt and mix.  Mix in chilli powder, chaat masala, and cumin powder.  Once cool store them in air tight containers. 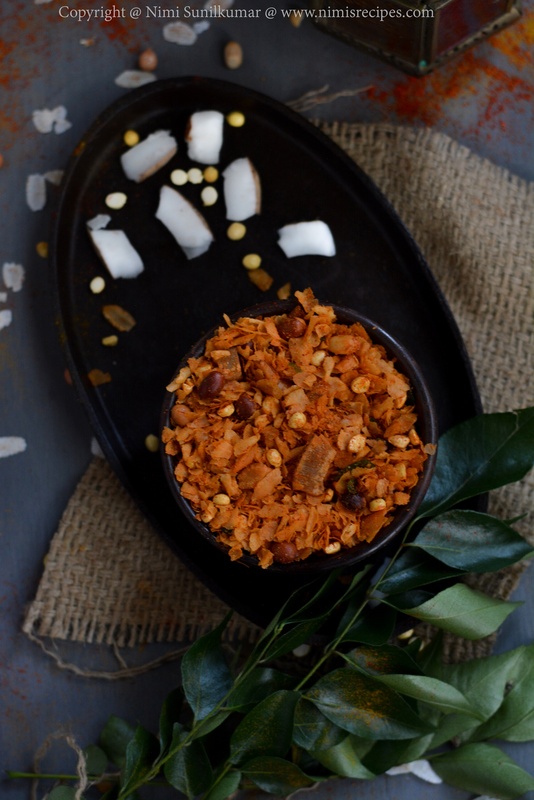 Are you a rice fanatic? I like rice but not to an extend where I would choose it over breads and chapathies….may be that would be the routine of my mom avoiding rice for dinners as my dad was a person who would least prefer rice when it comes to dinner time.But my rice stories have no connections to me having in puddings..Cooking at home my sons are always head over heels over the white payasams/kerealan milk puddings.Me and hus crave for the jaggery one so its more of a weird face that he would put up when i choose the “white ” one. Rice puddings are famous all around the world. Milchreis , the traditional rice pudding from Germany is a very famous pudding. Made with cinnamon , milk and rice it’s a simple recipe that tastes heavenly.The word “Milchreis” basically means Milkrice. This is a pudding basically served to children .It can be topped with any fruit compote. Here I have a recipe with apple compote.  In a heavy bottomed pot cook pour in the milk and water.  Wash and add in the rice, brown sugar and vanilla essence.  In a sauce pan combine sugar, vanilla essence, water and bring it to boil.  Add the apples, lower the heat and cover and cook.  When the apples are soft add in the lemon juice and let the mixture thicken.  Remove from heat and cool.  Serve the milchreis pudding in bowls topped with the apple compote.  Sprinkle cinnamon powder over it before serving. Sago Gulu Melaka..the easy peasy pudding!! “Sago Gulu Melaka” a local Malaysian dessert. This is a really quick and easy recipe for dessert with just 4 main ingredients. The pandan leaf is known as the vanilla of the east because of its unique aroma. These leaves are used in Indonesian, Singaporean, Filipino, Malaysian, Thai, Bangladeshi, Vietnamese, Chinese, Sri Lankan, Khmer and Burmese foods, especially rice dishes , cakes and desserts.  Boil 2 litre of water with sago until the sago cooks well.  Strain the sago in a sieve and lightly wash off the starch under cold running water.  Place the sago in small bowls, level the top and freeze for about 30 minutes.  In a saucepan heat the coconut milk till it starts boiling and keeps aside. dissolves with the vanilla essence / pandan leaf and makes syrup.